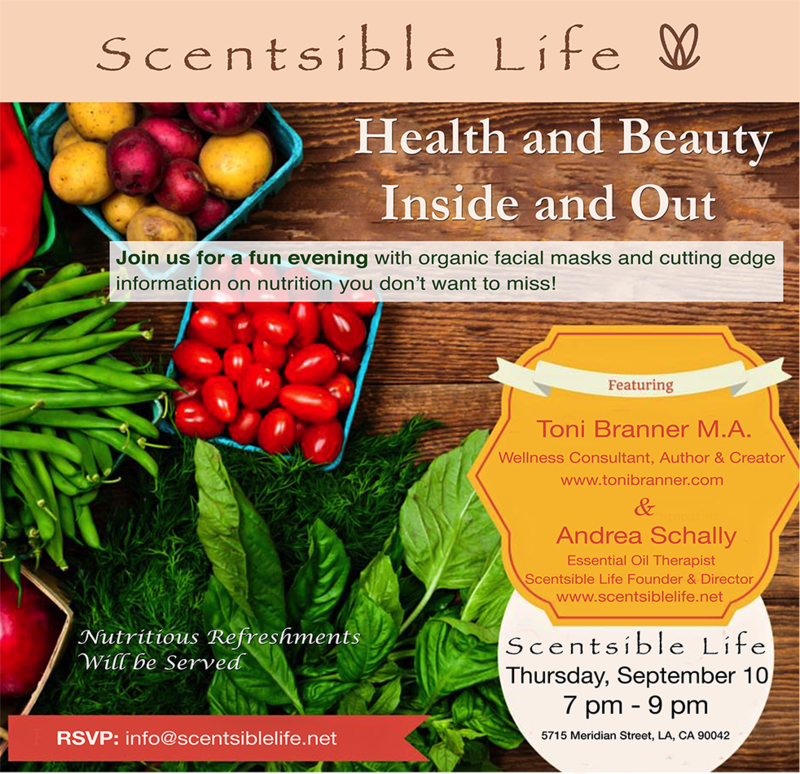 I am so excited to introduce Toni Branner, an expert on nutrition, to all of you at Scentsible Life. We will have a great evening, learning about healthy food for our body and skin. Enjoy Relax¡ Wednesday. If you live in the Los Angeles area you are welcome to join us. We are coming together from 7 pm to 9 pm. If you plan to join us please call us at 310.699.7743 so we have enough fresh skin care and snacks for everybody. If you can’t make it tonight and would like to participate, join us on the google hangout from 7:00 pm to 7:30 pm. Click on Google Events to connect with us tonight. I am looking forward to seeing or meeting you tonight. Have a wonderful Wednesday. Tonight we will be broadcasting our Beauty and Health Evening live on a Google+ Hangout. Our Beauty and Health Wednesdays are dedicated to relaxation from the stress of daily life. We invite you to take time out and forget about all of your demands and obligations for a little while. Join us for an enjoyable evening as we go over the benefits of using all natural skin care to take care of and rejuvenate your skin. We strive to make this a spa like experience so it is fun and relaxing for all. 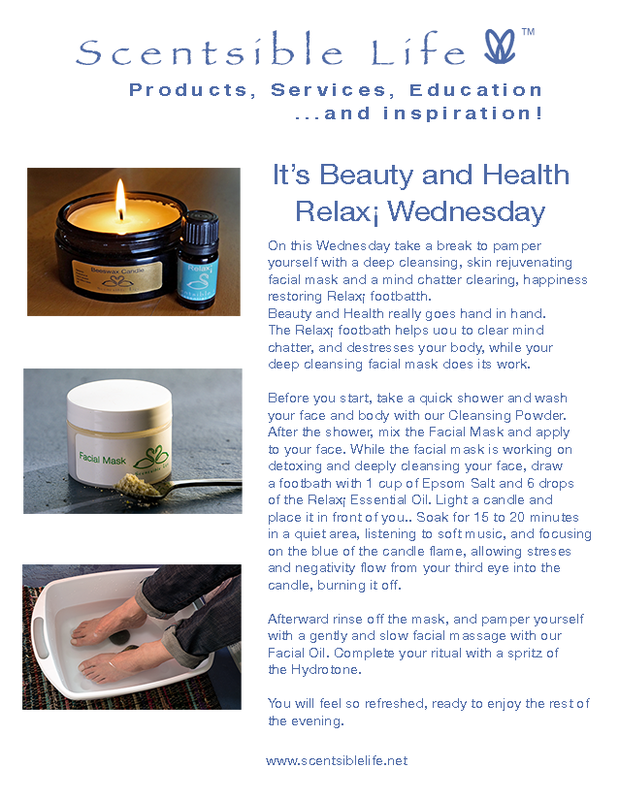 Take a break with us this Wednesday evening and connect with like minded people while you are nurtured with our all natural skin care line, fresh facial masks and essential oils. We look forward to seeing you! If you would like to join us please call us at 310.699.7743 for directions. Relationships are often a source of struggle, self-doubt, and feelings of unworthiness. People often have rebellious or pleasing attitudes or behavior in order to feel worthy, belonging or attractive to the other person in the relationship. So much energy goes into making a relationship work. In the effort to make the relationship work, we often lose who we really are, and get trapped into pleasing the other person so we don’t lose them. Pleasing behavior can eventually wear on us and become a feeling of dissatisfaction that may threaten our relationships as we start to miss our ways of being, our preferences, or our creativity. This in turn may lead us into forcing our ways of being, our preferences, or our creativity onto our partners or friends. The other person, not accustomed to our new behavior will most likely react. Again, like a ping pong ball, we will react in our attempts to be heard, seen and acknowledged, triggering more defensiveness once again in our partners. At this point a power struggle starts to enter our relationships. If this sounds at all familiar and you want to get out of this energy, then come and join us at our “Freedom in Relationships” Workshops. Here you will be safe to express yourself, to be yourself without the fear of losing anyone. Join us next Tuesday evening as we start to explore how friends can help us to awaken the feeling of being free, creative, loving and compassionate human beings. This workshop is for all of you who want to make the best out of your life, and live everyday with feeling good about who you are. Creative practices in the workshop will help you to open Self-Love, and give you the chance to explore how good it feels to live actively from the heart, being free and yourself in any situation. Help, support and guidance throughout the entire workshop series will help you to begin to live in a free way, helping you attract people who love you, respect you and are truthful to you. This is a great, fun way to make changes in your life that will help you and the ones you love. Register by calling us at 310.699 or sign up online under “classes”. The Radiant Heart first came to form in 1746 with an essential oil blend and specific guidelines to help people find true love, happiness, freedom and an internal knowing of the preciousness of life. The Radiant Heart Essential Oil needs to be made in a very specific way, in order to receive the right guidelines. The knowing of how to make it and how to receive its guidelines has been transferred from one woman to the next, generation after generation, uninterrupted. Throughout the times the essence of the Radiant Heart has stayed the same. The Radiant Heart and its guidelines have given us, always, the right insight, the right tools, and the appropriate guidelines so we are able to change what needs to be changed. Ever since the first Radiant Heart our language, attitude and our social etiquettes have changed. The guidelines are constantly updated so we can relate to its message with the current language, attitude and social etiquettes. The original message, that we need to keep love, freedom, truth and happiness alive, so we can experience the preciousness of life itself, never has been compromised or distorted through attitude or behavior. 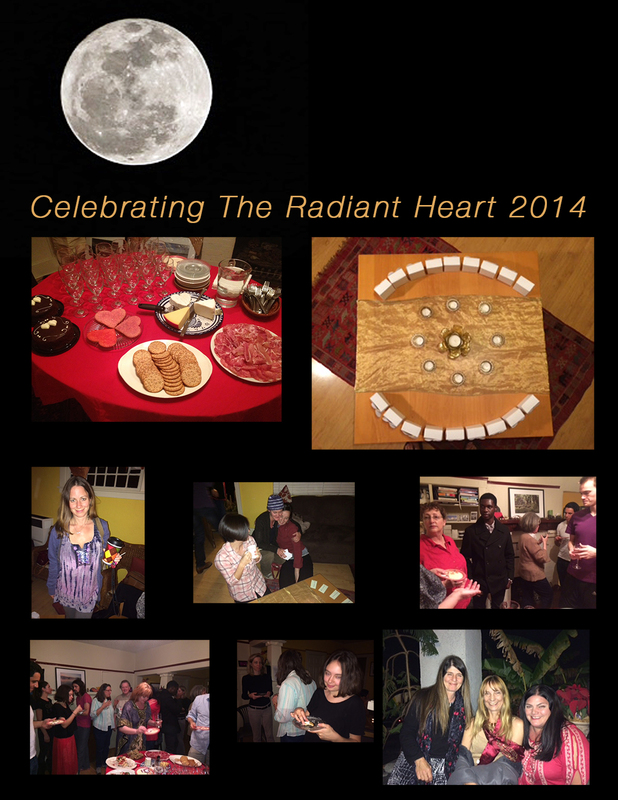 The Radiant Heart now, since 1999, is available through Scentsible Life and Andrea Schally. More and more people find us, and experience the mystery of the Radiant Heart becoming alive, and being infused into all parts of their lives. The aliveness of this energy is growing, expanding and therefore spreading more visibly into the world. Every person who experiences and is infused with its mystery contributes to the growing of the awareness that all people deserve to have a rich and happy life. Everybody whose heart opens knows that love, freedom truth, and happiness can only stay alive if we live it. The Radiant Heart and Andrea invite you to participate at our next Radiant Heart Weekend this summer on the second weekend in July. 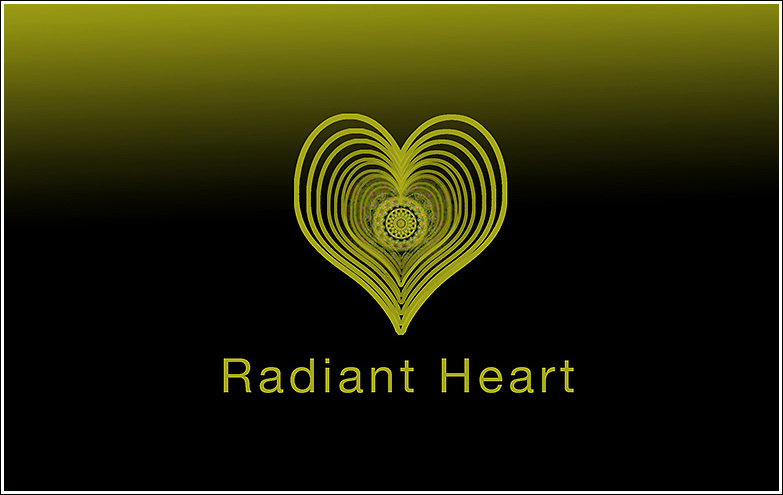 Throughout the centuries people from all walks of life have experienced the mystery of the Radiant Heart. The different outcomes have one thing in common: all of the people who followed its guidelines experienced their own life become meaningful and happy. In turn, they became passionate about sharing the Radiant Heart energy in a good way, so that they could pass on the feeling of love, happiness, freedom and the internal knowing of how precious life is. The Summer 2014 Radiant Heart Weekend begins with a ceremony and celebration of the Radiant Heart and continues the next morning with the announcement and teachings of its guidelines about the “Connection to Love”. 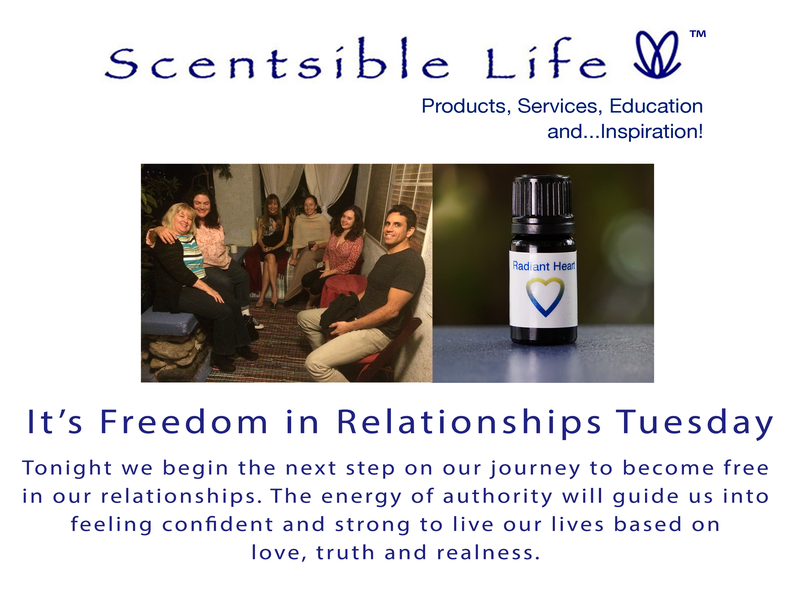 At Scentsible Life, 5715 Meridian Street, Los Angeles, CA 90042. You can RSVP to this event online at BodyMindOnline.